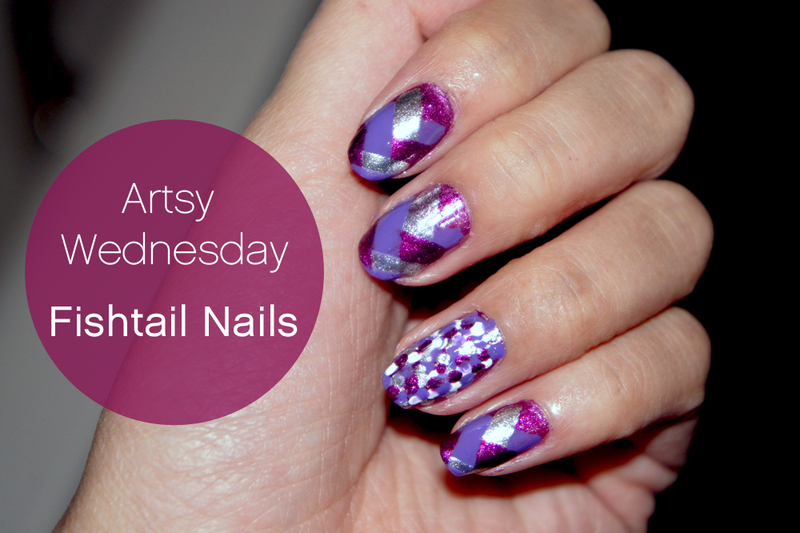 This weeks Fishtail Nail Artsy Wednesday was a super fun one to do! It was actually a lot easier than it looks! I really enjoyed creating this look and I hope you’ll like them too! I’m going to keep this short and sweet as usual hehe! I used the Avon Nailwear Pro+ Nail Enamel for this look, the one I got is called Starry Night which is a metallic silver shade. It’s a gorgeous colour and it reminds me of molten silver :) I received this courtesy of the ladies at Halpern.co.uk who sent me this along with some other bits which I am yet to try out and review. I’ve managed to have a play around with this nail polish and I am super impressed with it! Anyway I will be doing a full swatch post on it later on, but for now here is my Artsy Wednesday entry for this week. What do you guys think? Do you think I should have stuck to doing fishtail on all the fingers rather than trying to be clevero? I think so too! But its way to late to go back now haha! 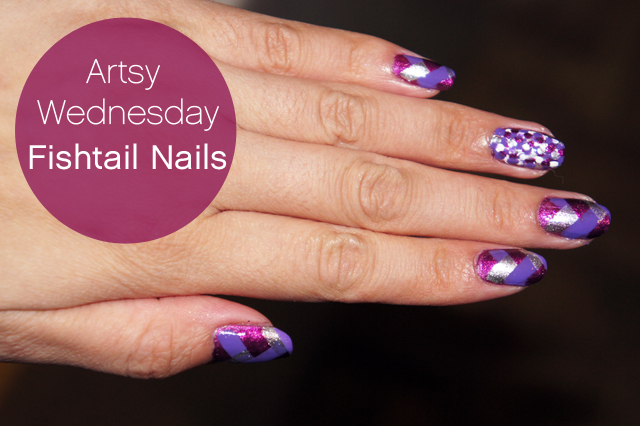 Tags: Artsy Wednesday, avon, Beauty, Cosmetics, Fishtail nails, Nail Art, nail designs, nailpolish, Purple nails. Bookmark the permalink. I like your accent nail, I think it’s quite clever LOL – nice color combo too! Nice one… very impressive colour combination :) I’m looking forward to see the “step-by-step” guide. tell me howwww and NO not because your “clever”!!! Ok, when purple is involved, that’s it, I’m in! Those nails look fab! So cool. I wish there’s a purple month, I would be wearing, thinking and blogging purple! hahah. P.S. I met your sister LeaLea via Bbloggers, didn’t realize you guys were sisters heheh.